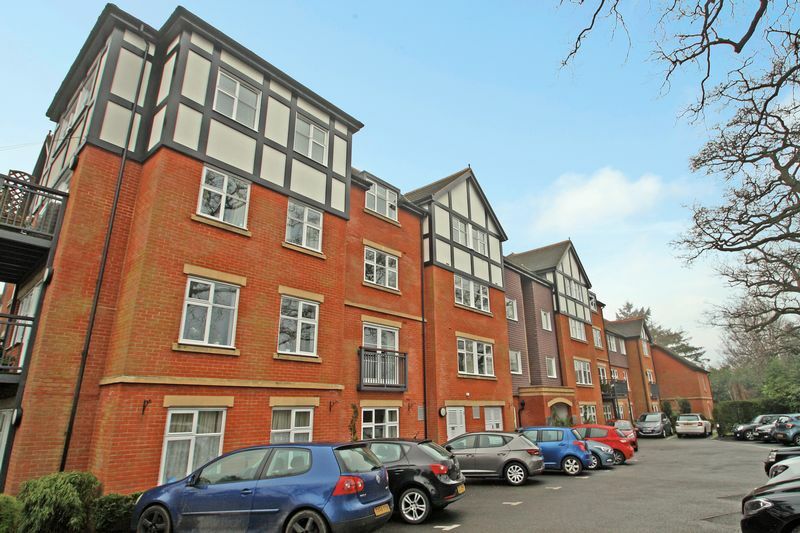 This delightful flat is located in a very prestigious Over 55’s development in the leafy quarter adjacent to the Calverley area of Tunbridge Wells. 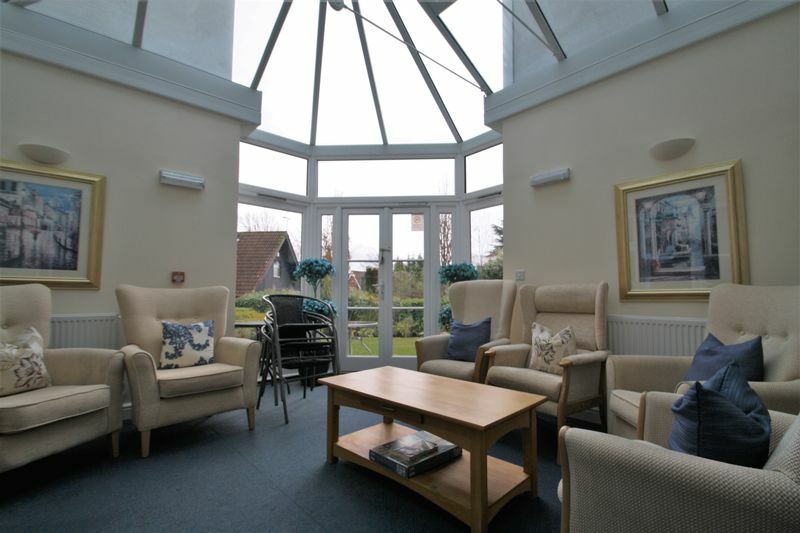 The development offers communal areas for socialising which include a lounge, a conservatory and communal gardens. 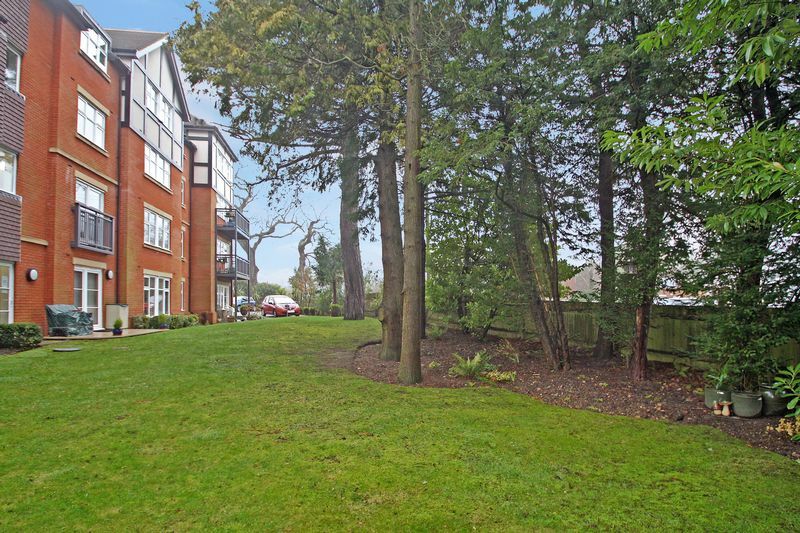 Park House offers so much more than just living space. The development actively encourages a community spirit with social events in the communal lounge such as fish and chip nights and numerous other activities. On top of this there is a lovely twin guest suite which is available for welcoming visitors for over night stays at a very reasonable rate of £20 per night. There is a lift to all floors as well as the staircase. 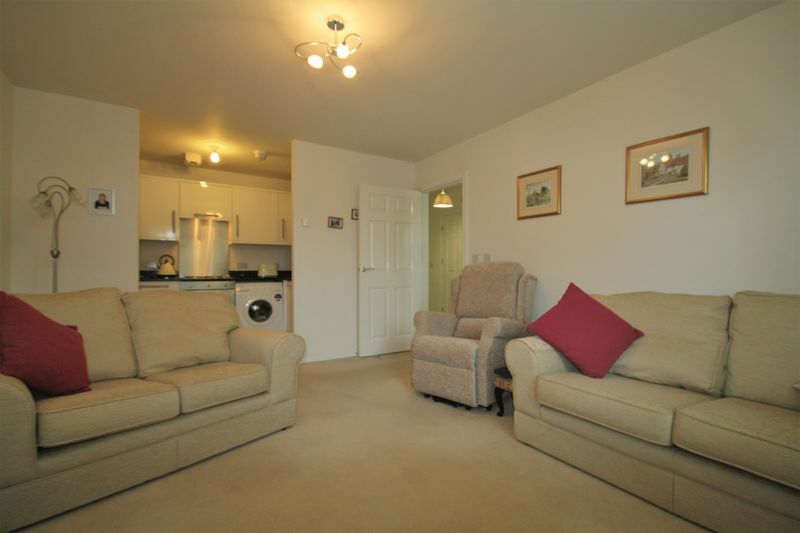 The quality is of the highest standard and the flat offers a cosy and safe home for the purchaser. The high quality furniture and appliances are available by negotiation. From the communal landing entry to this flat is via a Georgian style white door and into the generous hallway. 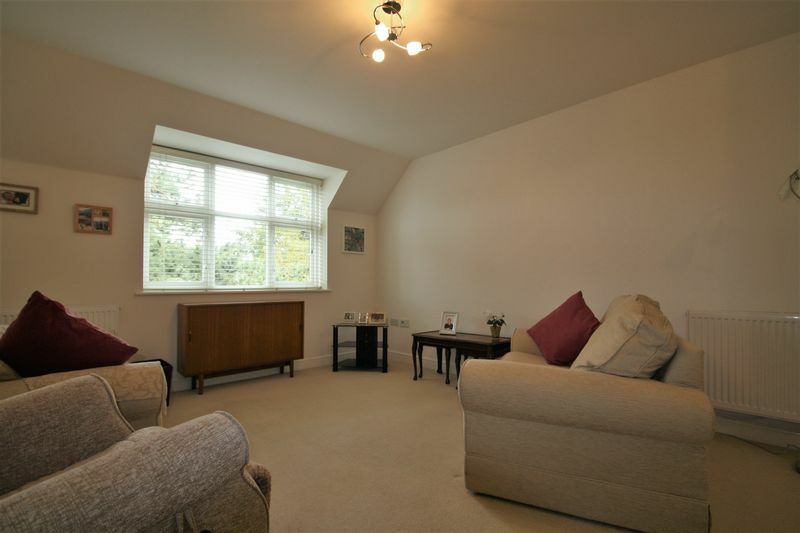 With luxury pale carpeting throughout the ambience is already set for the quality of this lovely home. 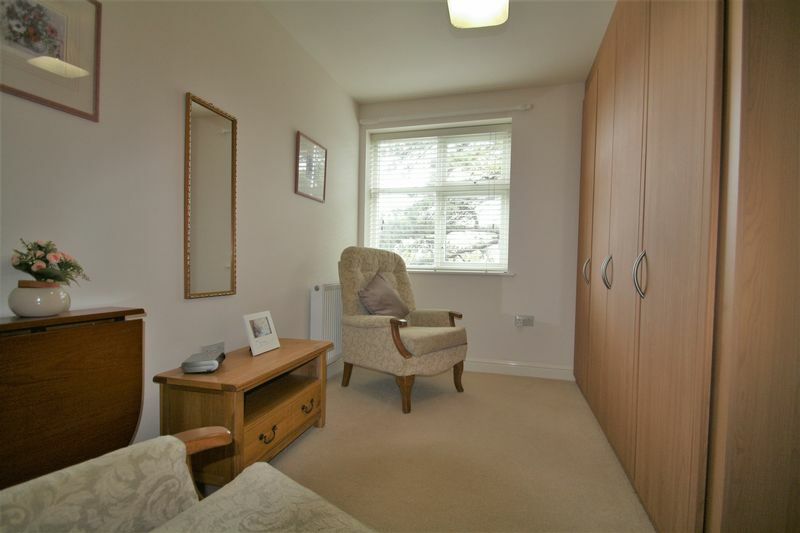 There is an entry phone and BT socket in the hallway and a large cupboard useful for tall storage, coats and shoes. All doors lead from here into the bathroom, sitting room and 2 bedrooms. 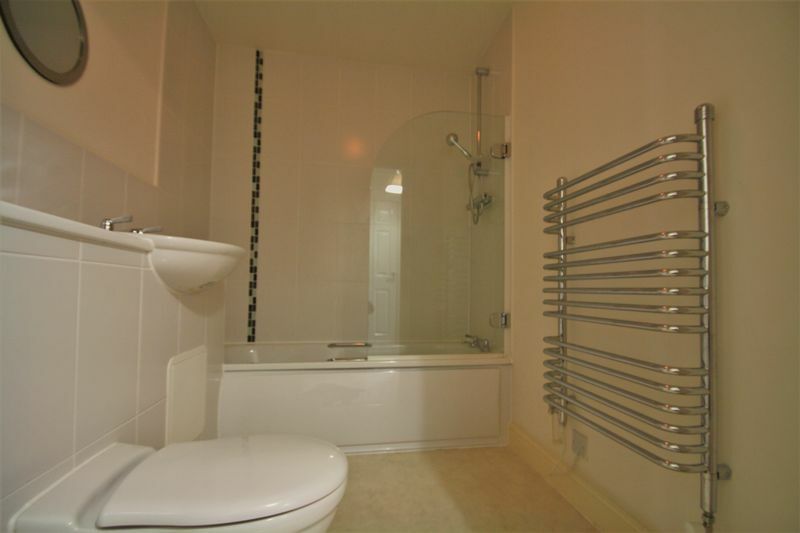 On your immediate left is the large beautifully fitted bathroom with white suite, white tiled splash backs with mosaic decorative border and power shower over the bath. A chrome heated towel rail completes this large and airy room. 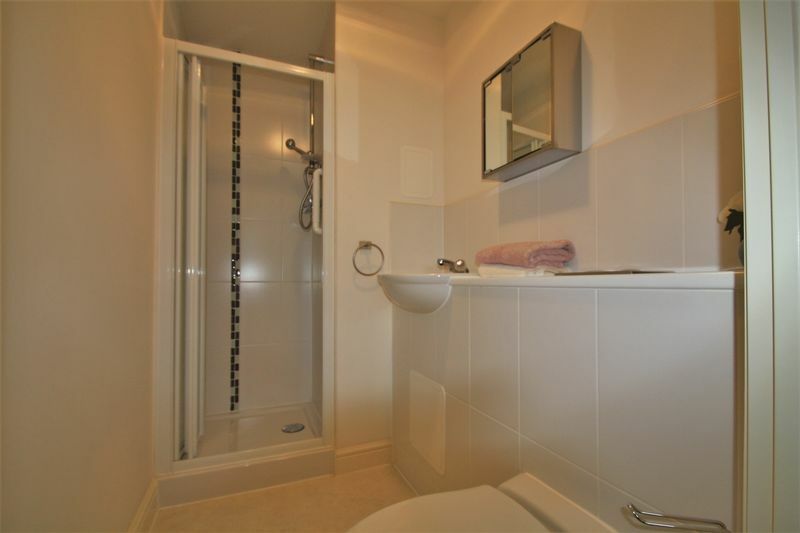 The master bedroom has an en-suite shower room with walk in shower cubicle, built in basin with WC, tiled in white with a glass mosaic border. The flooring is vinyl and the suite is white with chrome fittings. 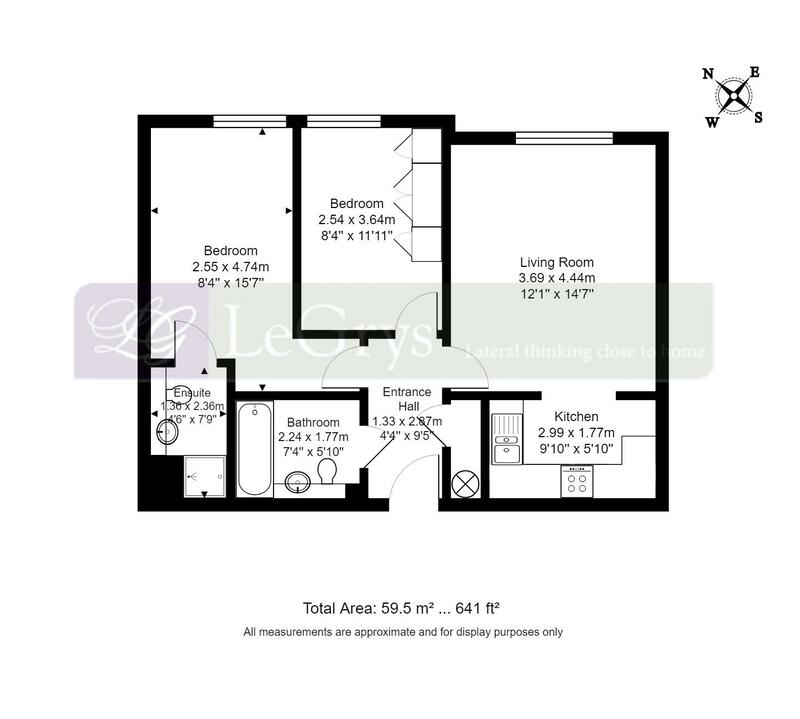 The bedroom has a front aspect window and is generous in size with ample space for freestanding furniture. 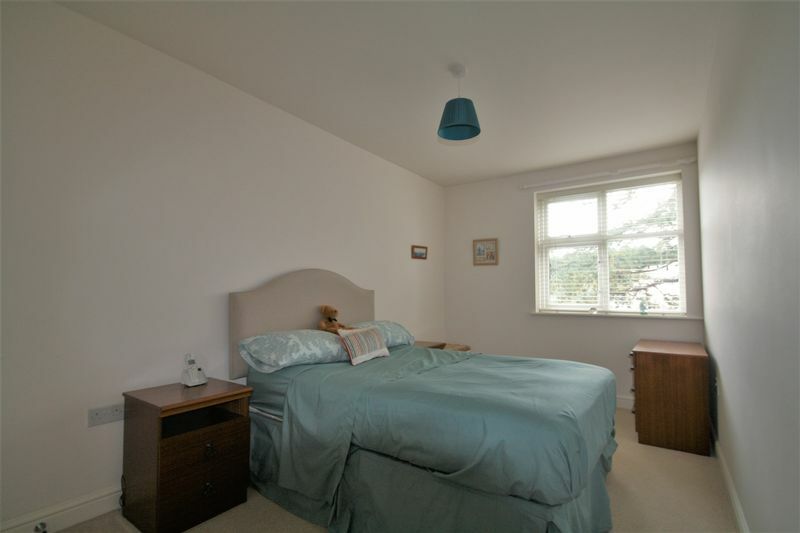 Bedroom 2 has large fitted wardrobes with plenty of hanging and shelf storage and space for a single bed. This room also has a front aspect window. 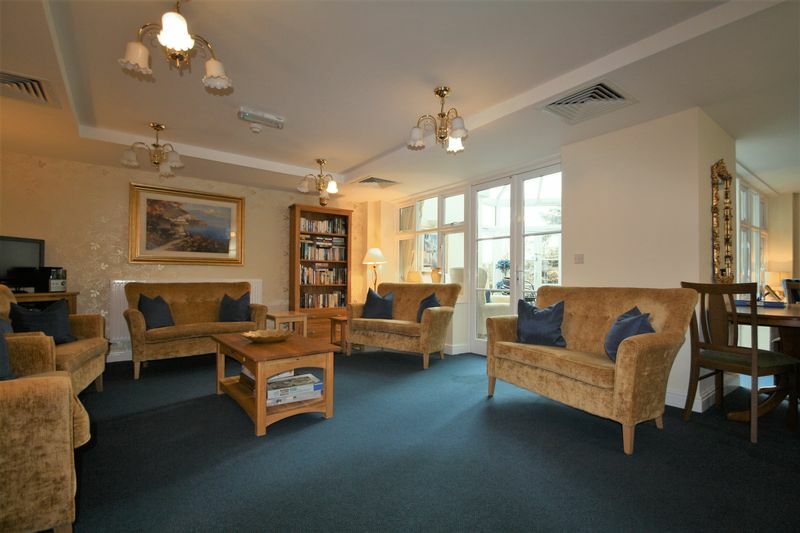 The lovely light sitting room is overlooking the communal garden and is open to the well equipped kitchen. 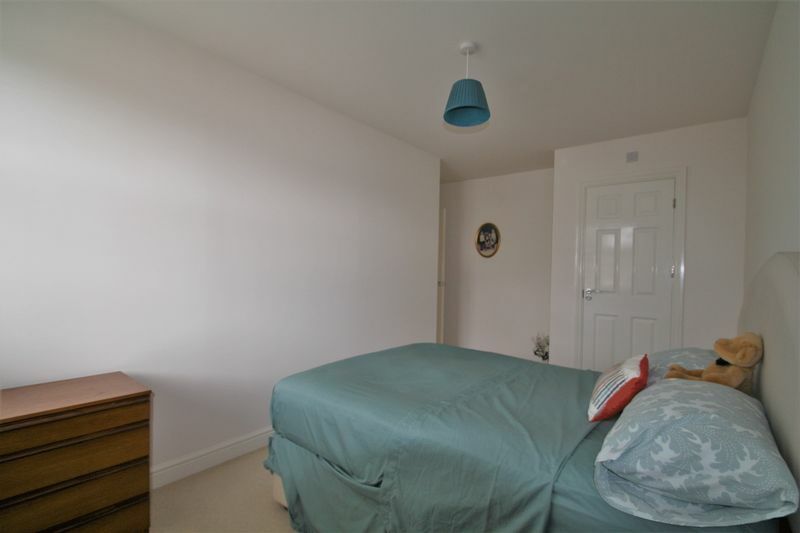 This room is a good size and is a cosy area with easy access to the kitchen and ample space for dining. 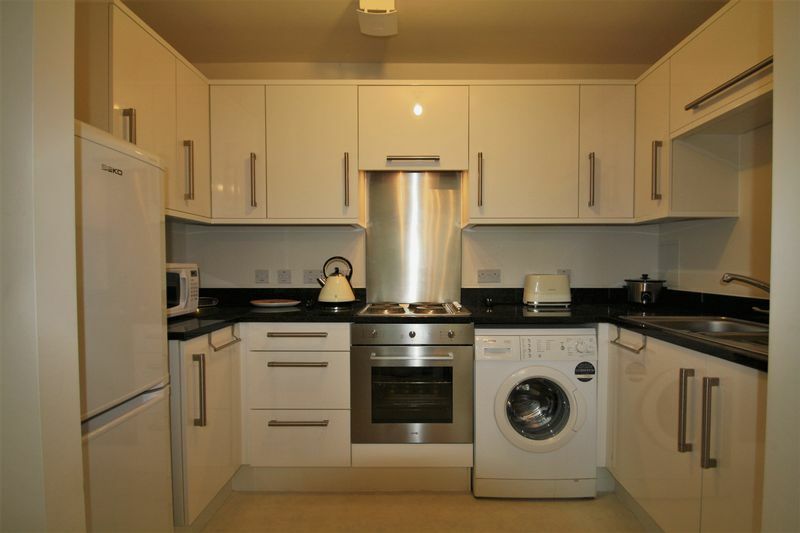 The kitchen has a comprehensive range of wall and base units in white with space for a washing machine, fridge freezer built under electric oven , electric hob with cooker hood above. The worktops are in black granite effect with a stainless steel sink with drainer.